Perfect for cheerleading! 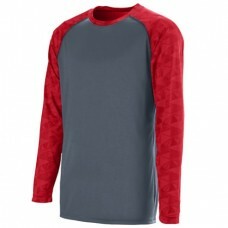 100% polyester wicking knit with printed sleeves and collar. Wicks moisture away from the body. Pad print label. Self-fabric collar. 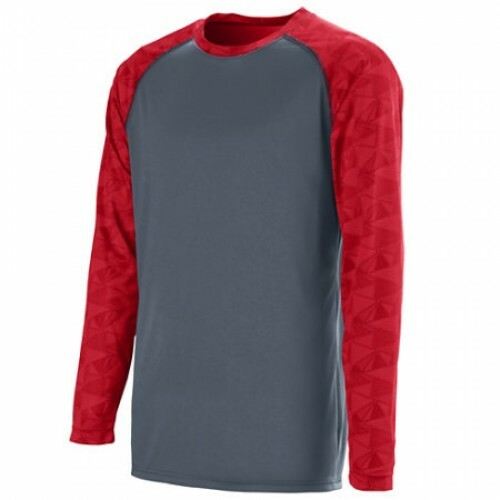 Raglan sleeves with self-fabric cuffs. Double-needle hemmed bottom.Also available in Adult, Style 1726.